(1/2) Two years ago, I decided not to renew my contract with RTÉ Sport. At the time, they prevailed upon me to stay and, in fact, offered me a rise, a small one, to do so. However, before the World Cup I told them this time, I would be leaving. (2/2) I intend to focus on my podcast The Stand which is flourishing and has had over 2.3 million listens since we started. That’s where my energy will now be devoted. 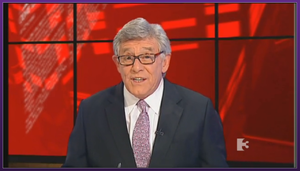 In my 40 years with RTÉ, I made many good friends and I wish them the very best for the future. He wants to spend more time with his money new podcast audience. Posted in Misc and tagged Eamon Dunphy, RTE, The Stand at 2:16 pm on July 25, 2018 by Aaron McAllorum. Two episodes today based around the upcoming 8th Amendment Referendum. 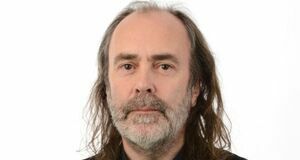 Posted in Misc and tagged Eamon Dunphy, John Waters, The Stand at 1:45 pm on May 17, 2018 by Bodger. A Smoking Gun, You Say? Posted in Misc and tagged Eamon Dunphy, Sam Smyth, The Stand at 3:37 pm on April 25, 2018 by Bodger. Three weeks ago, Eamon Dunphy posted an interview he carried out with Kevin Myers for his podcast The Stand. This was prior to the fallout of Mr Myers’ column in The Sunday Times on July 30 and his subsequent sacking for the same. During the 71-minute interview they discussed The Irish Times and Mr Myers’s time in Northern Ireland, Beirut and Sarajevo. He told how he wasn’t invited to Queen Elizabeth’s visit to the war memorial in memory of the Irish soldiers killed in World War I, in Islandbridge, Dublin; and how a journalism student told him he was warned not to mention Kevin Myers’ name if he wanted to proceed on his course; and how media/journalism courses in Ireland teach conformity. 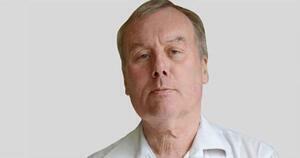 He also lamented the lack of “good columnists” in Ireland under the age of 40, or even 50. 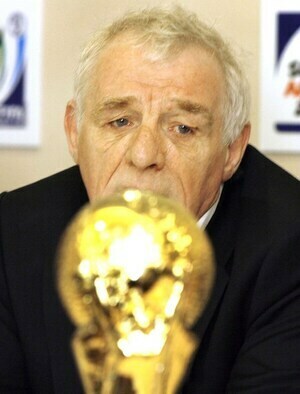 Eamon Dunphy: “Now you got the job of writing the Irishman’s Diary in The Irish Times which was very prestigious. You had some very amazing predecessors in that slot, you might tell us about. But it’s quite onerous because I think it’s three or four times a week? Posted in Misc and tagged Eamon Dunphy, Kevin Myers, The Stand at 1:16 pm on August 9, 2017 by Broadsheet. Readers will recall how the O’Higgins Commission of Investigation, led by Judge Kevin O’Higgins, looked into allegations of malpractice made by Sgt Maurice McCabe (top). After it was published, it emerged that claims made by Noirín O’Sullivan’s senior counsel to the O’Higgins Commission of Investigation – that Garda whistleblower Sgt Maurice McCabe was acting out of malice – were proven to be untrue during the commission. However, these details weren’t included in Justice O’Higgins’ findings. The Disclosures Tribunal, led by Supreme Court Judge Peter Charleton, is looking at allegations that a smear campaign was conducted against Sgt McCabe by former Garda Commissioner Martin Callinan – with the knowledge of Garda Commissioner Nóirín O’Sullivan – as alleged by the former head of the Garda Press Office, Superintendent David Taylor. 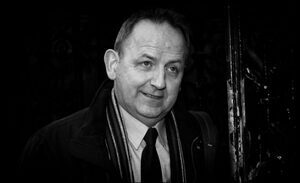 Michael Clifford, in this morning’s Irish Examiner, reported that the head of HR in An Garda Siochana John Barrett has told the Disclosures Tribunal that a member of Garda management told him that they were “going after” Sgt Maurice McCabe in the O’Higgins Commission of Investigation. It’s reported this occurred before the O’Higgins Commission started in 2015. In an interview earlier today for Eamon Dunphy’s podcast The Stand, Mr Dunphy spoke to Mr Clifford about this claim and about the Disclosures Tribunal. At one point they talked about the media in respect of the Disclosures Tribunal and about how some journalists have ignored letters sent to them by the tribunal. The letters were a means for the tribunal to get answers about any possible contact they had with Supt Dave Taylor in respect of Sgt McCabe. It should be noted that Supt Taylor has provided the tribunal with a waiver of any journalistic privilege and is not claiming privilege over his identification as the source of any information to journalists relating to Sgt McCabe, while similar waivers have been signed by Garda Commissioner Noirin O’Sullivan and former Garda Commissioner Martin Callinan. They also discussed the matters pertaining to the Garda College. The interview can be listened to in full above. Readers may wish to note the Disclosures Tribunal will start to hear evidence on Tuesday, July 4. An opening statement about the tribunal and some of the evidence gathered to date can be read in full here. Posted in Misc and tagged Disclosures Tribunal, Eamon Dunphy, Michael Clifford, The Stand at 3:50 pm on June 23, 2017 by Broadsheet.